If you’ve finally decided to build your dream home but are uncertain whether you should purchase a pre-designed home or go all the way for a custom designed house, in this article you will uncover the advantages of choosing a custom-made house design for your Sydney abode. By hiring a company that specialises in new home design, you have the flexibility in every aspect of design and construction. Customisation allows you to include all the elements that you want in a house, whilst getting enough insight on how to improve it’s look and functionality. Choose to work with seasoned house designers in Sydney. If you want efficiency and reliability, don’t just settle for the first company that offer custom design homes in Sydney. Work with a company that specialises in new house designs and are staffed with draftsmen and home interior designers with several years of experience in drafting homes and interior design spaces. Their experience makes them more flexible when you want to make changes on their designs. 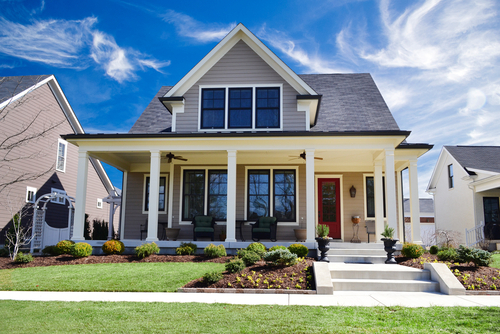 Custom design homes are more expensive than standard or pre-designed or pre-existing homes. But this should not mean that you can’t save money or spend your money wisely when building your dream home. Choose a new house design firm that offers competitive rates for drafting and designing the main structure and interiors. Of course, you will need to pay more for a custom design, but with a seasoned and flexible home design firm, you will definitely get what you pay for. For the most important investment in your life, trust only seasoned house design companies. If you want to know more about new house design and other services that we offer, click here. If you wish to talk with a representative regarding new house designs and home interior design services, you may also reach us at 02 8937 3199 today.